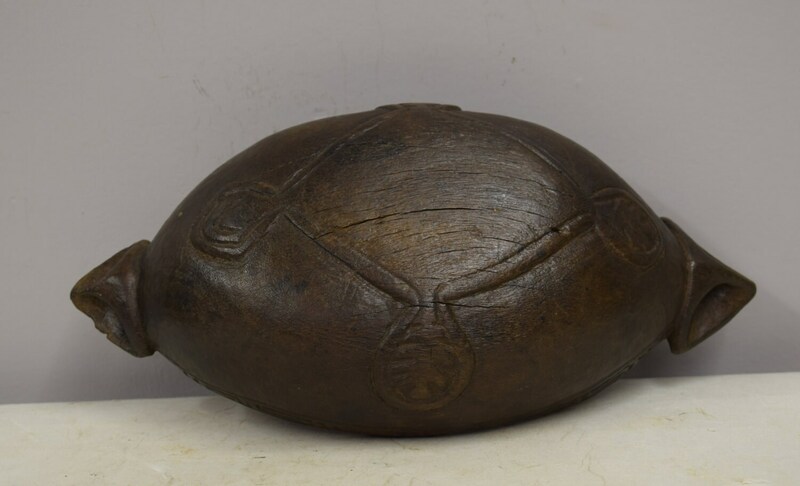 This is wonderful old Stone Carved Turtle Handle Feasting Bowl. This particular Ceremonial bowl with its incised designs comes from the Lower Ramu River of Papua New Guinea. These ornamental feasting and ceremonial bowls are used on special occasions to serve pudding known as “Pollom and Yams. 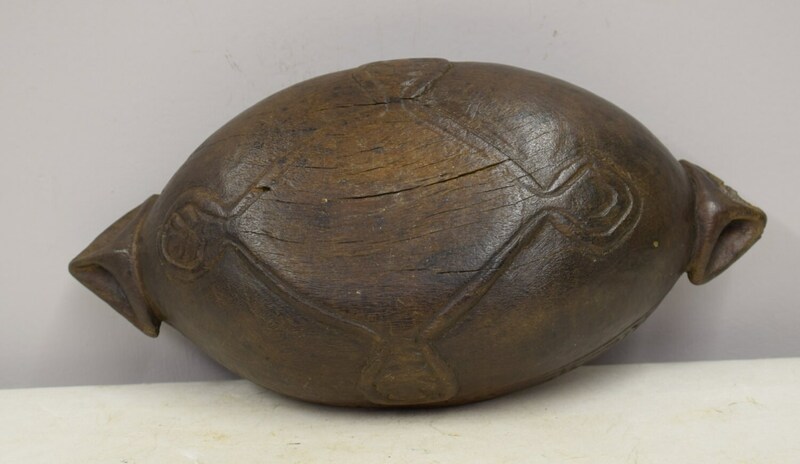 This wonderful old wood bowl has classic carved alligator handles adorning its sides. 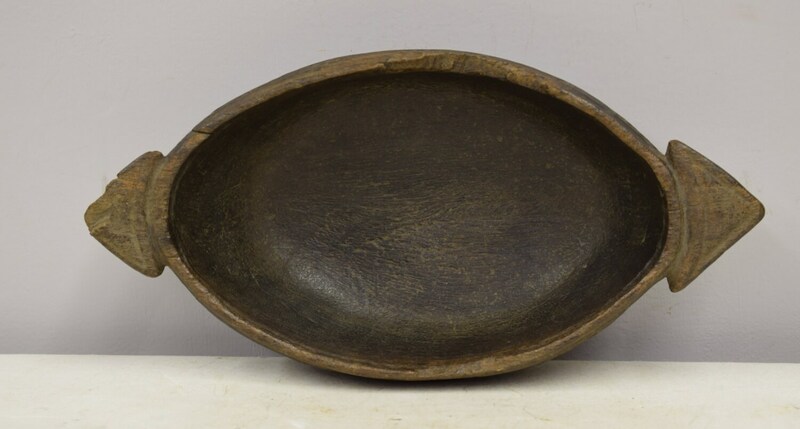 Not only is this style bowl being used during ceremonial village feasts, but is is an essential part of the traditional bride price. This would be a fabulous piece for your table and to display in your home. Collected in the field. 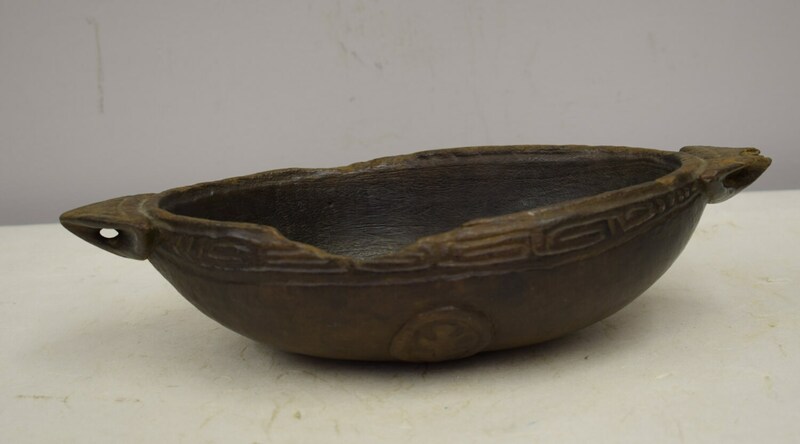 This bowl is old and rare and was stone carved. It shows age, has a chip on the side of the bowl, and a nick on one turtle handle, but overall in good condition.